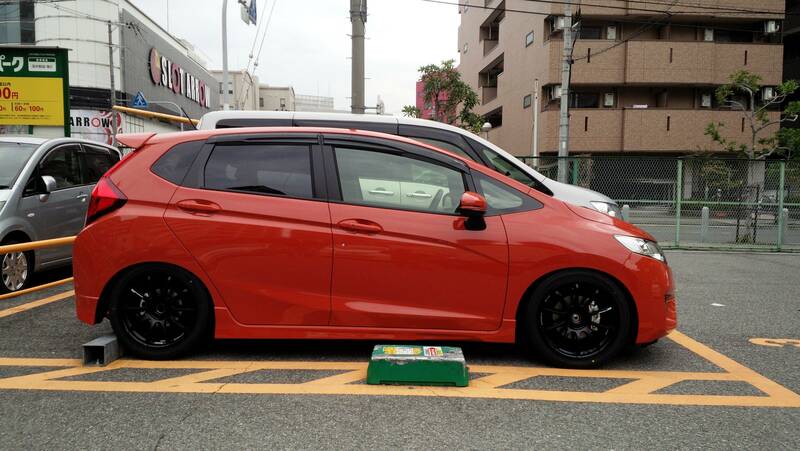 We do know the ratios for the Japanese fit rs. I did the math and if the rs rides on 24in diameter tires like the current fit at 70 it will be at 3300rpm. The 6 spd was in the RS so it was more sport close ration oriented. it offer more flexibility at some speed. Personally i like my 2007 gear ratio, BUT if i could have a 6-spd to reduce rpm a 100 kph from 3000 to a little under 3000 ( like 2700 ) it will be perfect to reduce fuel consumption, and noise, and still have enough power not to have down shift in climbing slope on the highway, like the automatic trans. Of course they could have the same final ratio and just put a speed between third and fourth gear, That will be a useless 6 spd. Why is everyone so excited about a 6 speed? The ge Fits had them in Japan and if you look at the ratios for the transmission it's engine speed to vehicle speed was the same (70mph at 3500+rpm) I'm sure this one will be close to the same. The only reason there offering it is because we think we need/want it and they can offer more options on a made in Mexico Fit and still make money. actually is 5cm longer than the GE with a fair bit more storage space. not sure if that shot of the yellow one is warped or not. this is a side profile of mine. We don't yet know what the gear ratios are. No use getting excited or disappointed until we know. I like the look of the new dash. It's more clean and smooth and less "explosion of sci-fi futuristic shapes" like the GE. one more thing, I hope they offer heated seats with cloth as I hate leather and I doubt it but it would be cool if I can order a sport without a (heavy) moonroof option, but I suppose it will be a selling feature down the road if not!